Lauryn Hill is making some changes to her "Homecoming" tour. This week the singer's first tour since leaving prison for tax evasion was supposed to make stops in New Jersey and New York, but Hill has rescheduled the dates for next year. Her Huntington, New York stop will now take place on January 26th and she will then stop in Port Chester, New York on January 31st. On February 7th Hill will head to Red Bank, New Jersey. Lauryn Hill has also added shows in Charlotte, North Carolina; Atlanta, Georgia; and Miami, Florida. She will also head to Floyd, Virginia in July. 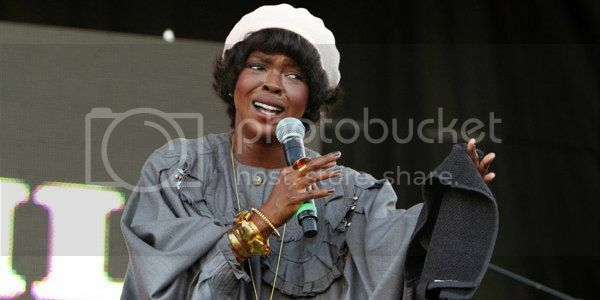 In October, Lauryn Hill was released from prison after serving three months for tax evasion. She was also sentenced to three months of house arrest, but a judge postponed part of that sentence until after the New Year so she could hit the road. Lauryn Hill Releases New Track "Neurotic Society (Compulsory Mix)"